One of the greatest travelling adventures is throwing yourself into a new culture by experiencing the local cuisine, however unusual it may seem. All around the world food is different, and every dinner table works differently, whether it’s Korean BBQ cooked directly at your table or Japanese sushi bars with conveyor belts to bring you your food. When you are looking at China holiday packages we’re sure you are imagining all of the dishes you’ll be tasting when you arrive, thinking about Peking duck in Beijing or delicious dim sum. However, if you are looking for food off of the eaten-path then China has plenty to offer. 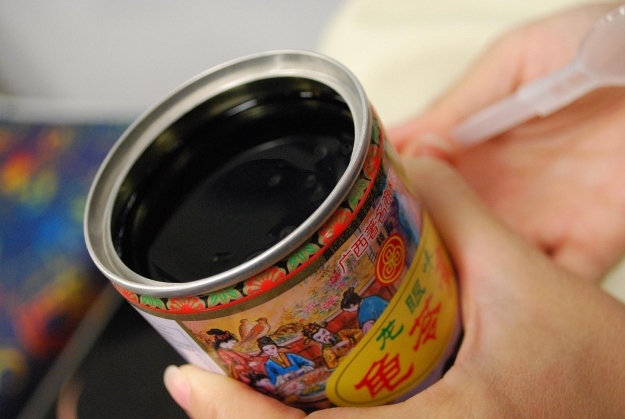 This medicinal dessert is more commonly known in English as turtle jelly. 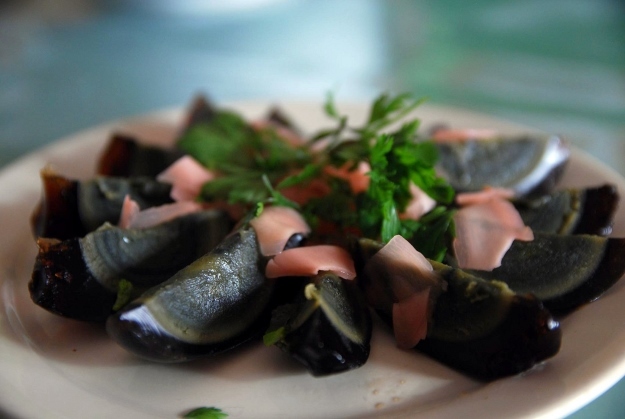 Made using turtle shell and a local herbal root called Tufuling, it is thought this dish was discovered during the Era of the Three Kingdoms (roughly AD 220-280). It is said soldiers from the north of China who found themselves in the south were struggling badly from the heat and guilinggao was given to them by the locals to cool them. After they ate the dish the army regained its strength and continued to battle. It is thought most supermarket versions of the dish do not contain turtle or contains very little so are not seen as true guilinggao. However, guilinggao powder to make the dish is available in most east and southeast Asian countries as well as in the USA and England. From the powder you make the dessert as you would a normal jelly. 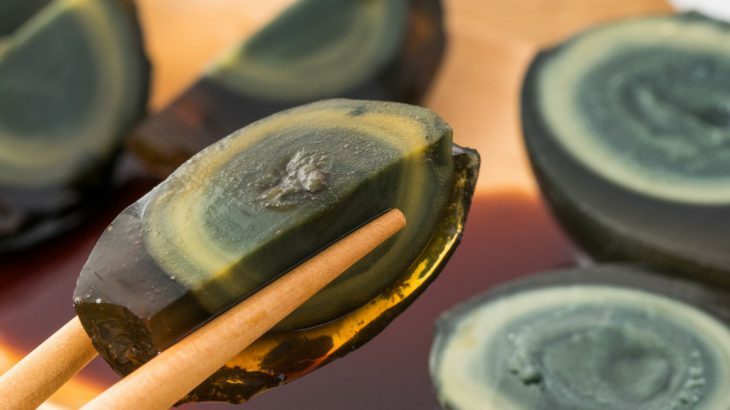 Known in English as the century egg or the hundred-year egg, this snack is a common treat around China. Despite its name it’s not commonly preserved for 100 years, usually a few weeks to a few months, although we don’t know if that makes it any more appealing! Rumour has it the delicacy was established when 600 years ago a man found and egg that had been preserved in a slaked lime pool and decided to eat it. So how do you eat it? Well, as it’s preserved you don’t need to cook the egg. Peel off the outer shell and admire the now dark brown egg. Cut the egg into sections to reveal the green yolk, then when you feel brave enough take a bite. It is said to have a creamy and succulent flavour, you just need to get over the smell. Now, any food with the word ‘fermented’ in the name is usually something people tend to avoid, except this. 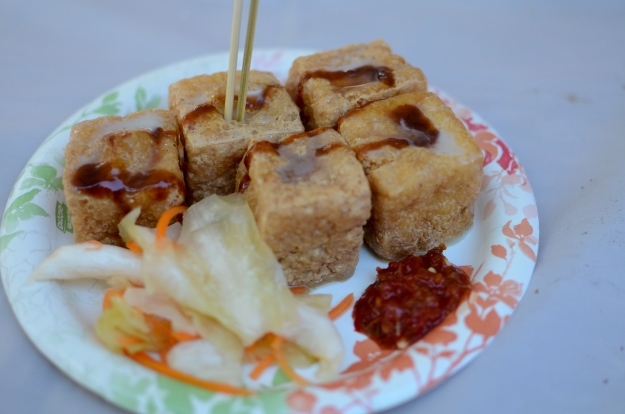 Fermented tofu, or stinky tofu as it is also known, is a unique dish in China. It is a very popular snack and the overpowering smell is one that leaves most travellers’ eyes watering. Traditionally it is tofu that has been fermented in a mixture of milk and a brine for weeks or even months. Just like cheese in the UK, there is a consensus amongst fans of the food that the smellier it is, the better it will taste. Although Japan is commonly known for sushi, there are many other dishes that help to build its strong food culture. Japan’s advanced technology and lifestyle means that their food culture is incredibly experimental, but also holds on to many of the country’s traditional roots. Leaving China won’t get you away from the processing of fermenting foods. 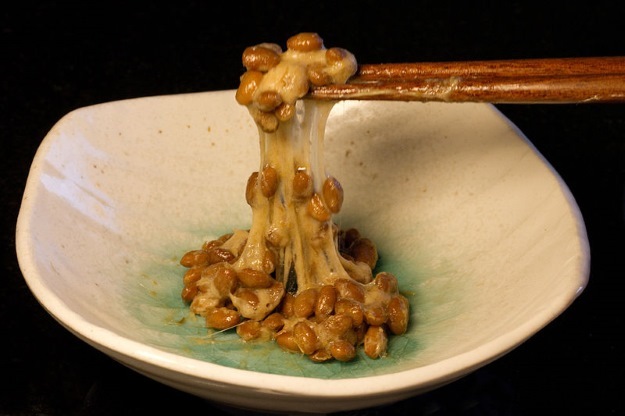 Natto is a traditional Japanese food which is made from fermented soy beans. Typically eaten with rice, natto is known for its powerful smell and slimy texture. Natto is a common breakfast dish in Japan but can also be found in other dishes including sushi and in miso soup. It is usually accompanied by soy sauce, karashi mustard and spring onions. You can even buy natto from the supermarket in small containers with packets of soy sauce and mustard, for the perfect to-go snack. Most commonly known in western culture for its appearance on The Simpsons, fugu (puffer fish) is one of the world’s most dangerous delicacies. The dish is only to be prepared by licensed chefs, and one wrong move can be lethal. 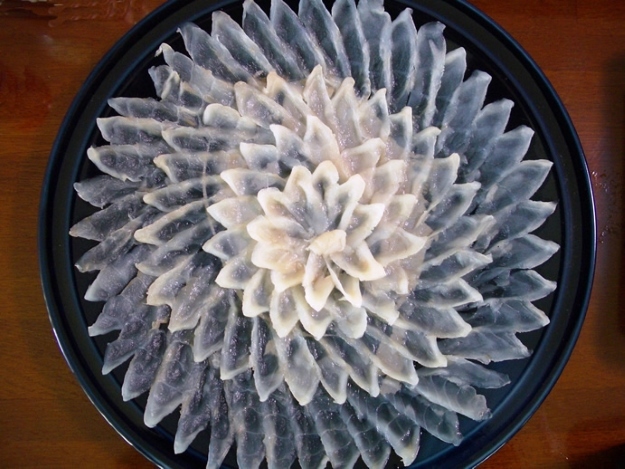 Since 2000, 23 people have died eating fugu in Japan. This is due to the fish itself, it is said the poison of the fugu fish is 1,200 times more lethal than cyanide. Despite this, it is revered as a popular and highly-prized dish. The poison in the puffer fish actually comes from its diet of poisonous starfish, snails and other creatures and stays localised to the liver, ovaries and other organs. Because of the meticulous nature in which they are prepared, licensed fugu chefs are seen as the elite of Japan’s culinary world. The dish, usually served raw as sashimi, is said to have a distinct flavour which is very important in Japanese cuisine, although the main appeal is still thought to be the risk of it all. 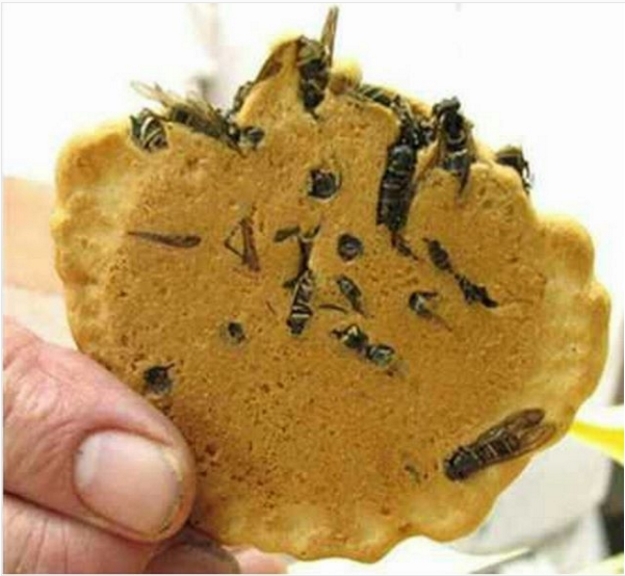 Something out of most people’s nightmares, Jibachi Senbei are rich crackers made in Omachi but with one additional ingredient – wasps. Each cracker has a healthy portion of black digger wasps inside which are clearly visible to the consumer. The wasps themselves are farmed for human consumption, so this isn’t the only place you’ll find them on the menu. When alive, the sting of a digger wasp can paralyze other insects but when cooked into a Senbei they are completely safe to eat and are even thought to have a very high percentage of protein. Shirako has a very distinctive look, small white pieces of meat, looking slightly as you would imagine intestines to look. As the sperm remains in the sac when served, it is a slightly creamy dish. Tradition is something you cannot escape in India and it is a big part of their food culture. Some of the dishes that are most unusual are the oldest in this country and have been enjoyed for a long time. 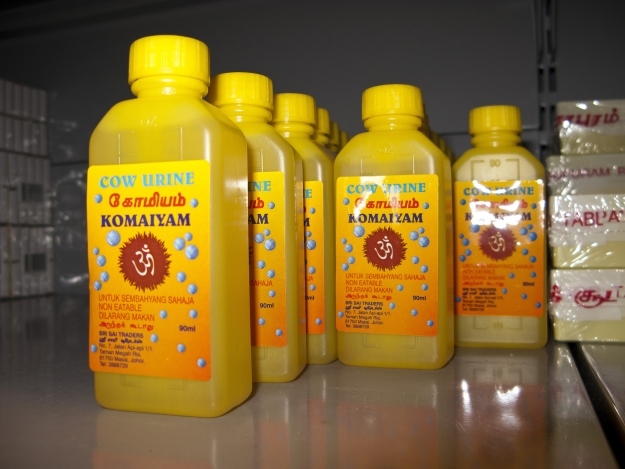 Now, Gomutra is traditionally a liquid, but is now being seen becoming more popular in India for its medicinal properties. Gomurta is cow urine and is said to help the human body fight hundreds of diseases and increase immunity. India’s oldest holy text mentions Gomutra. More recently India has tried to make cow urine more mainstream and has even created a cow urine soda. The drink, ‘Gau Jal’ was created to help India embrace its roots, and the drink is hoped to compete with larger soft drink brands like Coca Cola. 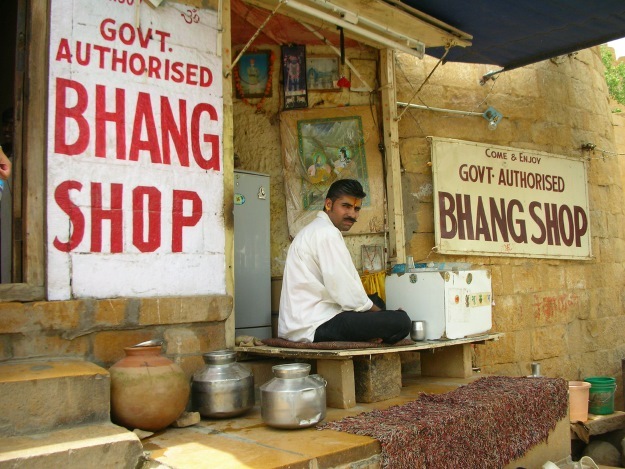 During the Holi season in India, Bhang is very popular. A method of preparing marijuana, Bhang is used in food and drinks for celebrations. One of the most popular preparations is the Bhang Pakora, which is essentially a marijuana fritter. Potatoes are a popular dish all around the world, but Phan Pyut is one of the lesser-known preparations. When the potatoes are ripe, instead of being harvested, they are left in the ground to rot. The potatoes are cooked in seasonings or even sometimes eaten raw. Phan Pyut is commonly added into a traditional meal instead of normal potatoes, and those who like them claim they are delicious. When most people think of fruit they think of citrusy sweet smells and not the smell of rotting meat. 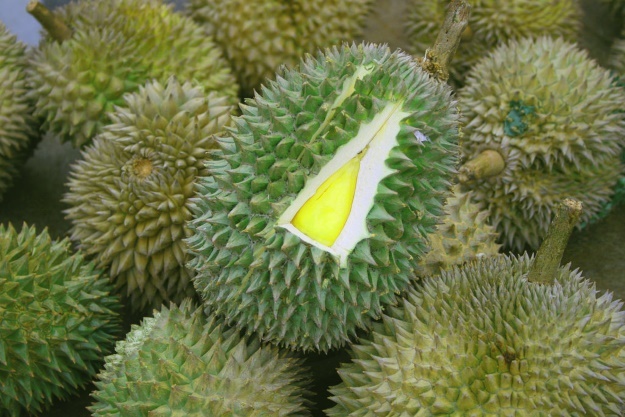 The Durian was created to change that assumption. Commonly known as the stink fruit this spiky green treat is known for its overwhelming scent. The smell is so bad that Durian is banned from Singapore’s rail network, and many airports and hotels. If you can get past the smell the taste is supposed to be sweet and custardy, a complete juxtaposition to the savoury stench it exudes. The fruit’s notoriety is part of its appeal, with people longing to experience the challenge of eating it. 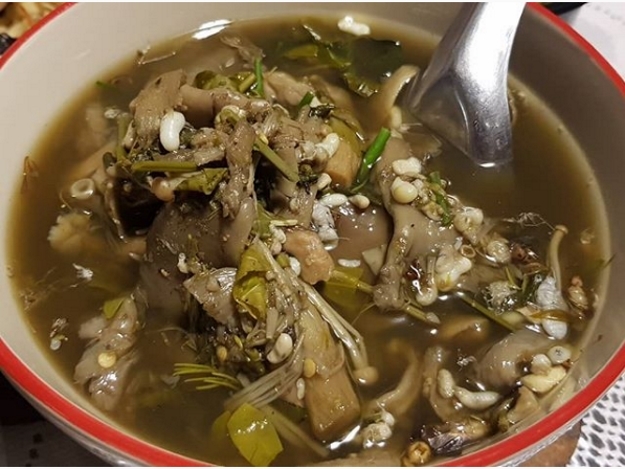 Very popular in Laos, ant egg soup is exactly what you’d expect. The eggs themselves resemble a pulse but are usually surrounded also by ants themselves. The rest of the ingredients in this dish are up to the maker but can include greens and vegetables along with a broth. There are many types of ant eggs used, one of the most popular kind is red ant eggs. They contain acetic acid which has a similar flavour to lemon juice or vinegar when added to a dish. Ant eggs are also used medically and can relieve blackouts, dizziness and constipation. When your Sannakji arrives to your table expect it to be moving. 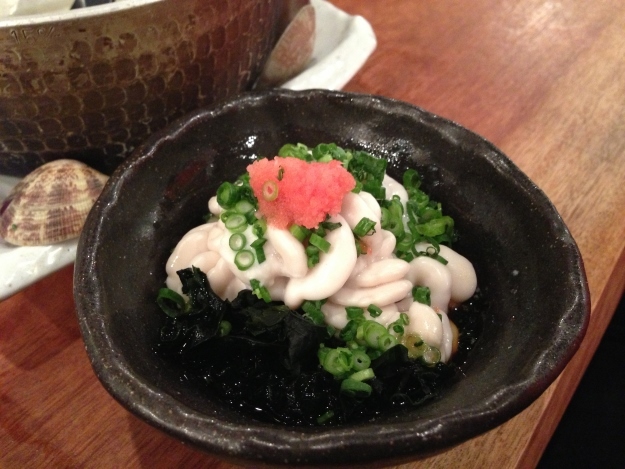 Sannakji is a typical Korean dish made by slicing the tentacles off of an octopus and serving immediately to diners. You then dip the pieces in sesame oil which causes them to move more, and eat. The flavour is mild, but it is the specific texture and experience of the dish moving in your mouth that attracts Korean foodies. The reaction to the salt causes the nerves in the tentacle to ‘come alive’ for lack of a better term. You should make sure to really chew this one though, about 6 people die each year eating Sannakji by choking due to the suction cups gripping to the interior of the throat. Not one for the faint hearted! In western culture one of the last things people would ever want to eat is this – a tarantula. Head to Asia and their reception is very different. 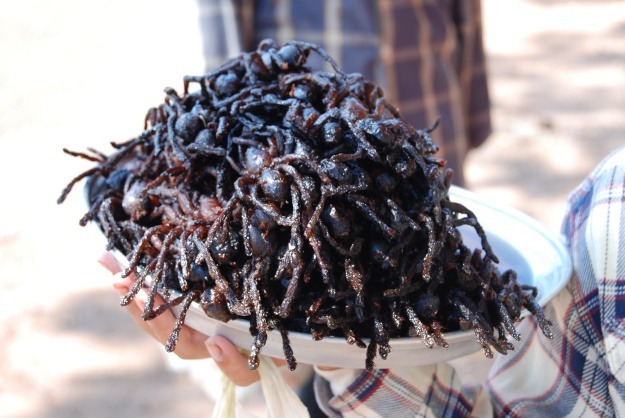 Asia welcomes eating insects and it is a large part of their cuisine, nothing more than this treat in Cambodia. If you are looking to try a weird food nicely disguised in a well-presented dish, trying tarantulas will not be for you. Served whole, this snack isn’t one you cannot pretend is something else. The roadside treat is said to remarkably taste like seafood such as soft-shell crab or prawns, but it’s whether you’ve got the stomach to try it that is the real issue! Similarly to tarantulas, fruit bats are a fear for a lot of people and not something they would ever imagine themselves eating. 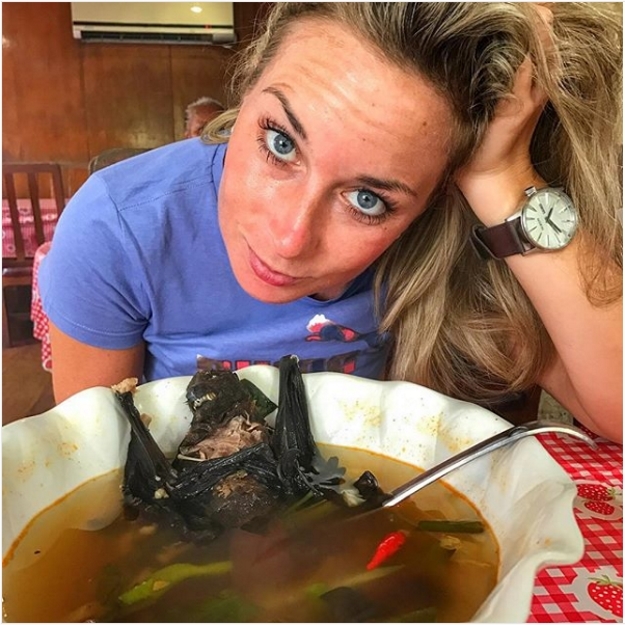 Head to Indonesia and you may face this moment with bat soup. If you are afraid of vampires, this one is not for you! The soup is made by washing the bat and boiling it, fur and all. It is then cooked with some coconut milk and spices as well as some vegetables to make the final dish. The correct way to eat the bat is to chew it and then discard the unwanted skin and fur. If some of these dishes have made you long to travel Asia and taste some of their local delicacies, then maybe it’s time to book a trip to Asia and start your adventure? Book an escorted tour to Asia with the UK’s leading Asia Experts, Wendy Wu Tours, or let us build you a tailormade itinerary, which can include any amount of food tasting! Tour or tailormade, we can guarantee you an unforgettable trip. We also have tours to South America. General adventure, culture, food and drink. permalink.